WEATHER UPDATE: Due to freezing rain and snow forecasted for early Saturday morning, the last two classes of our Open House in Canton are cancelled. If you planned to attend, please feel free to drop in for a free class during the first week of our Spring Semester, which begins this Monday (1/13) in Canton and Heuvelton or Tuesday (1/14) in Potsdam. 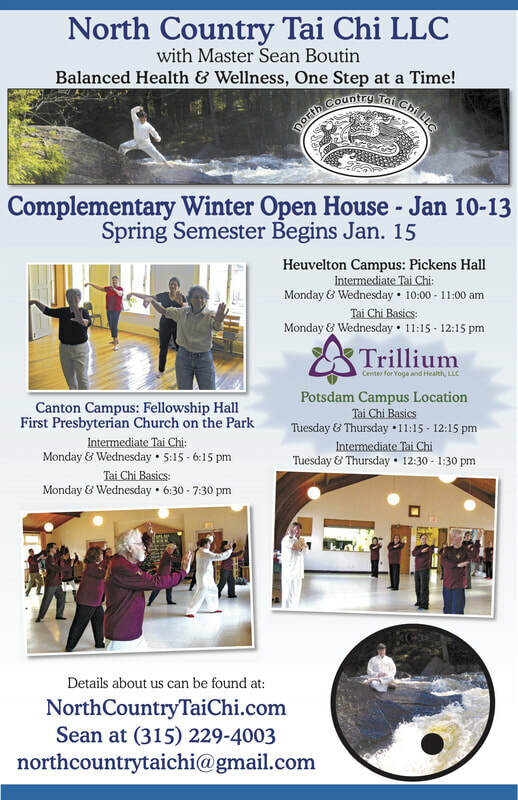 Master Sean welcomes the public to try any of our Tai Chi classes during our annual Winter Open House Jan 10th-13th. Please drop in by yourself or with a group to say hello. Classes are open and free including our special whole school "The Saturday Practice" in Canton. That particular class is held from 10-11AM at Canton's First Presbyterian Church On The Park. This special practice is a lot of fun with friends coming from all parts of the North Country. 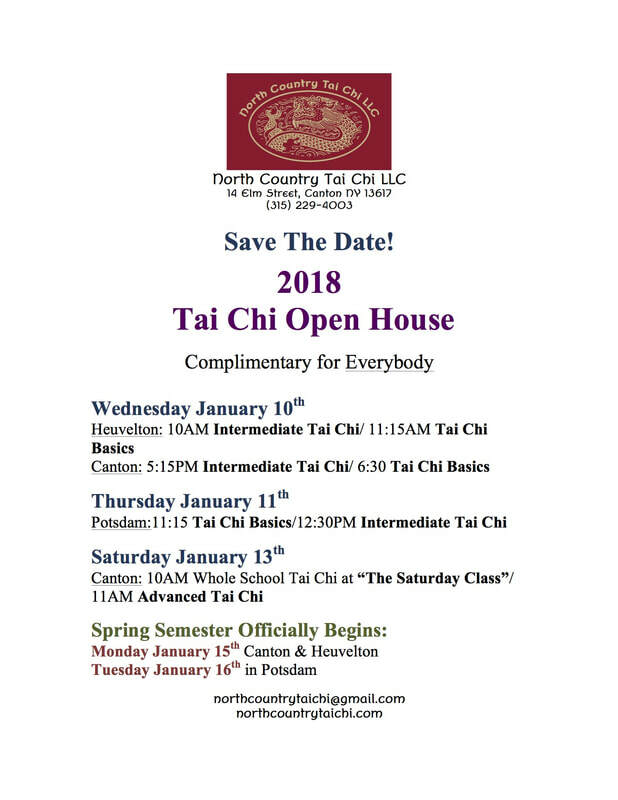 The Winter Open House classes are a wonderful opportunity to try Tai Chi before the beginning of our Spring Semester beginning January 15th (Canton and Heuvelton) or 16th (Potsdam). Details about the class times and locations are included on the poster below. Feel free to call Master Sean Boutin at (315) 229-4003 or email him at northcountrytaichi@gmail.com for more information.